Tea is famous all over the world specially in India. it comes different in taste, and its flavour varies according to countries. It has numerous health benefits like boost the metabolism, quell hunger, reduce stress and shrink the fat cells. Tea for weight loss is quite popular to reducing weight. Some tea like Oolong tea, Mint Tea that boost our metabolism and hence reduce fat. It is noticed that the people who drink tea has less body fat as compared who does not. It is good to know that tea is incredible for you, as it prevents you from the arthritis, stroke, cardiovascular diseases, dental decay and cancer. Moreover, it also supports a lot in lose weight, It also boost up the digestion and reduce the bad cholesterol level. Does tea help to lose weight ? It will boost metabolism of a body as well as it has an ability to Metabolize Fat. With the regular use of Oolong tea, one can lose one pound in a week. Intake of peppermint tea will make you skinny, because it reduces our hunger. A person who sniffed mint tea in every two hours will be able to lose weight of around 5 pounds in a month. In addition, it also has less caffeine as compared to a cup of coffee. It is really helpful in weight loss because it stops new fat cells from forming. It dried naturally in sunlight. Among tea’s, it is the richest source of antioxidants. White tea can boost the breakdown of fat and block the formation of new fat cells, it is possible due to the ingredients that are present in tea. If you want a diet tea then it is a best option for you. It will help you to keep your waistline tight and toned. This tea is mainly good for the belly. It has numerous benefits, it can lessen the stress hormones that cause appetite and fat storage which are also linked to hypertension, cardiovascular disease, diabetes and much more. The people who have 4 to 5 cups of green tea in a day will be able to lose their weight much faster. Green tea will help you to get the flat belly, the ingredients in a tea will blast the adipose tissue by reducing the fat cells, mainly that gets deposited in the belly as well as it also speed up the liver’s capacity, it is good to turn the fat into energy. It can fight with bloat, as all know that lemon is a good weapon for weight loss. Lemon contains high vitamin C, citric acid, calcium, Bioflavonoid, pectin which helps to reduce belly fat. 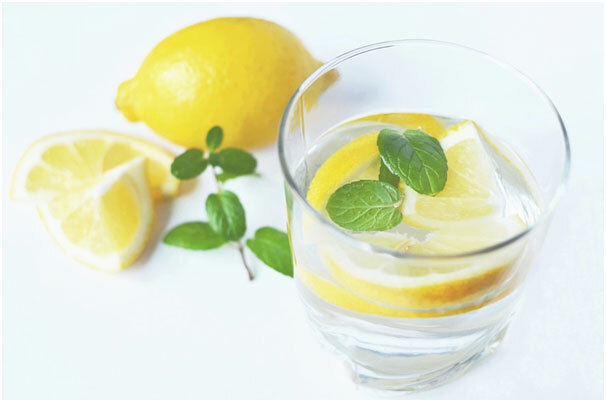 Taking Warm lemon water in the morning is a good start to maintain our metabolism, it assists the liver and digestive system to work efficiency, therefore it helps us to control weight. Valerian tea help you to improve your quality of sleep, as sleep is very important for weight lose. Improper sleep deliver a negative impact on the body as well as it also have a negative effect on hunger regulating hormone. Quality sleep will produce fat burning hormones. Aswagandha (Withania somnifera) leaves has number of health benefits. It will reduce stress level and give you a better outlook to life as well as it helps you in weight lose. After drinking Ashwagandha tea, you will feel relax and able to concentrate on your work, on the other hand, it is completely safe and healthy. It also helps our digestive system to work efficiently. Bilberry Tea is one of the best tea that is considered for losing weight. Bilberry seeded berries that contain high doses of powerful antioxidants. It stabilizes blood sugar levels and reduces cravings for fatty or sugary foods. To experience best results when using bilberry tea for weight loss, drink one cup every day before evening meals. It suppress your appetite so you eat less and consume fewer calories. And it make possible for the body to burn fat. Mate Tea has a powerful thermogenic effect and it can help in weight loss by enhancing the insulin sensitivity. Ginger is a best source for reducing weight, Include it on our diet has numerous benefits. Moreover, ginger tea will be helpful for to lose weight. Detox tea is highly in demand by people because it contains herbs that nourish the liver and it is also responsible to clear the toxins from the body. It will also burn the stored fat and boost your metabolism. Star Anise Tea is utilized in the treatment of stomach issues like diarrhea, nausea, etc. as well as it is also beneficial in weight loss. Rose Tea is one of an oldest flavoured tea that will clear the toxins of a body and help in reducing the weight. In addition, it is very good in taste and good for health and keeps your body fit. These are some kind of tea that will helpful in reducing the weight and keep your body fit and healthy. People can choose a tea as per their choice and taste. In a market, a numerous flavoured tea is available that is beneficial for health and increase metabolism of our body. It is very commonly said that too much tea is injurious for health but now, flavoured tea are completely safe and toxin free. If you are a tea lover or want tea frequently in your daily routine then you should have to try some flavoured tea instead of normal tea because these tea do not have any kind of side effects as well as delivered a positive result. If you have a desire to lose weight or want a perfect figure then you can include these tea in your daily routine and after some time, you will be able to see the result on your body. Ginger tea, lemon tea, green tea, etc. all are easy to make at home and all these tea will deliver an impeccable effect on your body. In addition, drinking more and more tea will not affect your body but it will help keep you fit and trim and help you to burn unwanted fat.